If you already offer an employee 401(k) at your business, a cash balance plan may be the perfect addition to help you strengthen your retirement account balances while lowering your tax burden. As a business owner, you can set up a cash balance plan and make additional pre-tax contributions on top of your 401(k) contributions every year. A cash balance plan is a defined benefit plan, resembling a pension. Unlike a traditional pension, which pays recipients a monthly income stream, a cash balance plan states the amount it will pay in retirement as a total sum or account balance. Benefits are portable, allowing account owners to roll over the balance to an individual retirement account (IRA) or another employer retirement plan. Cash balance plans have high contribution limits that increase with your age. At age 30, you can contribute a healthy yearly maximum of $51,000, but that increases to a maximum of $329,000 at age 70! These contributions are separate from and in addition to your chosen 401(k) contributions. Not only do these high cash balance limits shape up your retirement balances quickly, but since contributions cut your adjusted gross income, you realize even more savings through lower taxes. You set aside pre-tax money in the HSA, up to a yearly maximum of $3,450 for yourself alone or $6,900 for a family. The government raises this limit a bit each year to keep pace with inflation. You pay no tax on HSA money spent on IRS-qualified medical expenses. You’ll want to avoid paying anything other than qualified medical expenses with HSA funds, because those expenditures will be subject to a 20% penalty fee. HSA funds may be invested in traditional equities, such as stocks and bonds, to gain higher yields. Growth on invested funds is not taxed. 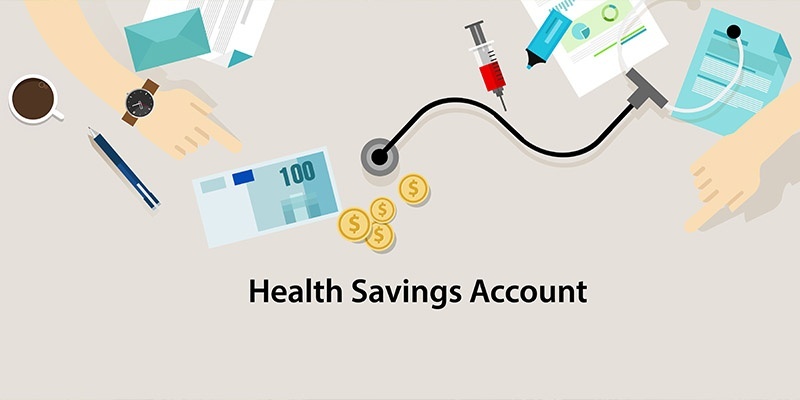 Fund balances roll over year to year and remain in your possession, even if you switch to another type of medical plan that does not allow further HSA contributions. With its pre-tax contributions and tax-free account growth, the HSA provides a powerful tax shelter. If you contribute every year, invest your money in equities, and leave your account largely untouched before retirement, you’ll amass a large, tax-free fund to use for costly medical expenses in retirement and old age. Also, at age 65, you’ll pay only regular income tax (likely at a reduced rate, depending on your business exit plans) on withdrawals, regardless of how you spend the money. Though it can be difficult to balance saving for retirement with investing in your business, a comfortable retirement is a goal you deserve to realize. Learn more about balancing business and personal finance decisions in our ebook. Member SIPC & FINRA. Advisory services offered through SWBC Investment Company, a Registered Investment Advisor. Not for redistribution—SWBC may from time to time publish content in this blog and/or on this site that has been created by affiliated or unaffiliated contributors. These contributors may include SWBC employees, other financial advisors, third-party authors who are paid a fee by SWBC, or other parties. The content of such posts does not necessarily represent the actual views or opinions of SWBC or any of its officers, directors, or employees. The opinions expressed by guest bloggers and/or blog interviewees are strictly their own and do not necessarily represent those of SWBC. The information provided on this site is for general information only, and SWBC cannot and does not guarantee the accuracy, validity, timeliness or completeness of any information contained on this site. None of the information on this site, nor any opinion contained in any blog post or other content on this site, constitutes a solicitation or offer by SWBC or its affiliates to buy or sell any securities, futures, options or other financial instruments. Nothing on this site constitutes any investment advice or service. Financial advisory services are provided only to investors who become SWBC clients.